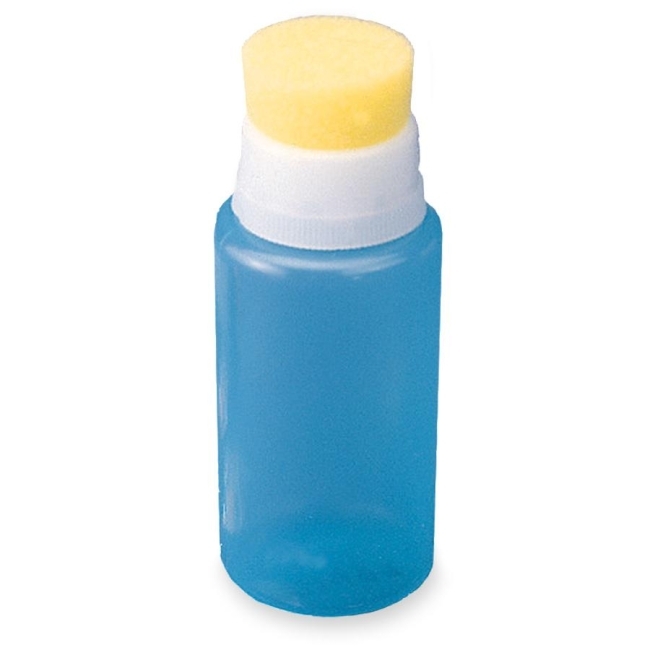 Squeeze moistener features a user-friendly design. Sponge moistener cap is attached to a threaded wide bottle mouth for easy refill. Unbreakable, transparent bottle reveals water level and holds 2.464 oz. (70c.c).